According to Aging Care, the average adult takes five or more prescriptions on a daily basis. Managing prescriptions which include proper handling, dosage, and storage can be overwhelming for some patients; no matter their age. Make a list – the National Institute on Aging recommends creating a checklist of all the medications you take. This will help you organize your medicines in the order that they need to be taken and save you time searching for each prescription. Having a list to refer to makes taking medications a lot easier, organized, and can help to prevent dosage errors. You can download the free NIH Senior Health medication table and print copies for your kitchen, e.g. on the fridge, and when you need to travel. If you are taking medications such as blood thinners, also consider getting a custom engraved medical ID jewelry that states this information. This will alert emergency responders and help prevent dangerous interactions. Set a medication alert or alarm – make your smartphone work harder and let it do the work of reminding you about your medications. You will probably only need to set up each reminder once and many phones have built-in alarm apps. Most of these apps lets you create multiple alarms, so set one up for each medication you need to take. If you or a loved one is taking multiple medications, managing them can be extremely tedious and time consuming. While the old method of using paper cups or zip-lock bags to carry medications is still popular, this is not the best way to manage and store medications safely and securely. Here are recommended medication reminder apps as featured on Healthline. Tell us which app you chose or are using via the comments below! 3. Use pill organizers – while not as high technology as an app, pill organizers have been used for many years in managing medications. Without the need for apps or batteries, pill organizers can do the job of reminding you to take your medicine each day. As more people rely on more than one medication, the pill organizer has also evolved with the times and have many versions to choose from. Let’s revisit the types of pill organizers and what to look for when buying one. Choose this if you only need to take medications per day. This is a basic option that easily reminds you to take what you need on a given day of the week (an empty box should mean you’ve already taken it). 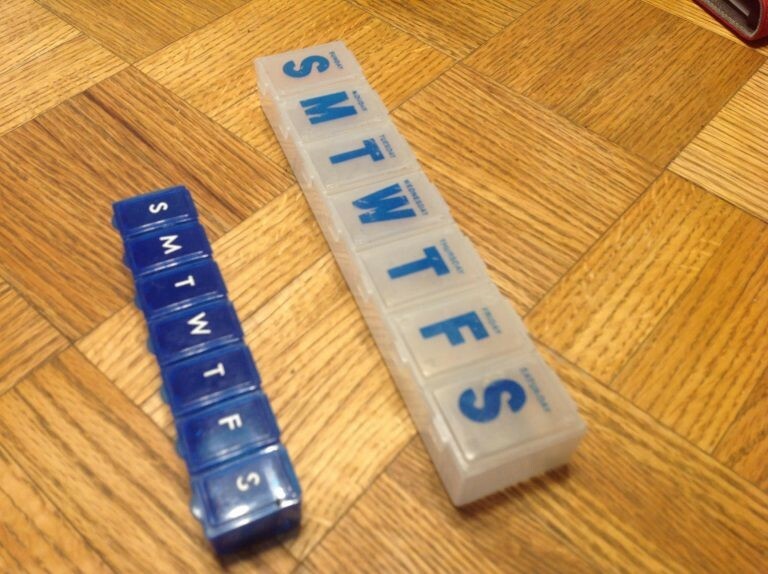 You can organize the medications you take by day (i.e. : Monday, Tuesday, etc…) but not by time of day (i.e. : morning, afternoon, evening, bed). They usually come with large compartments so if you are looking for something to hold a large amount of medication it can come in handy, but the problem is that you have to remember which pills to take at which time of day, which can be a hassle and difficult for those who older and prone to forgetting. 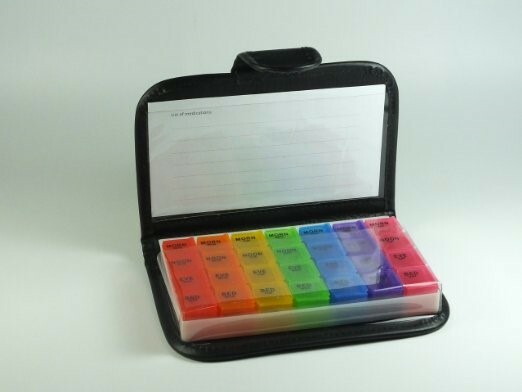 For persons or caregivers who need to give more than one medication per day, a pill organizer that can be segmented by time is an ideal options. The box easily organizes which pills or tablets to take at what time in the morning, afternoon, or evening. According to Stuff Seniors Need, here are things you need to consider when buying a pill organizer for you or a loved one. Discreet but stylish design – look for medicine organizers that have an outside case that makes it difficult for others to see the inside of the box. Interior tray – this feature makes it easy for seniors to access medicines even with arthritis or dexterity issues. Insert card – this will allow you to display your basic information in case your pill organizer gets lost. Size of the compartments – don’t forget to remember the amount and size of pills you need to organize and it might be helpful to have extra space for future medications. 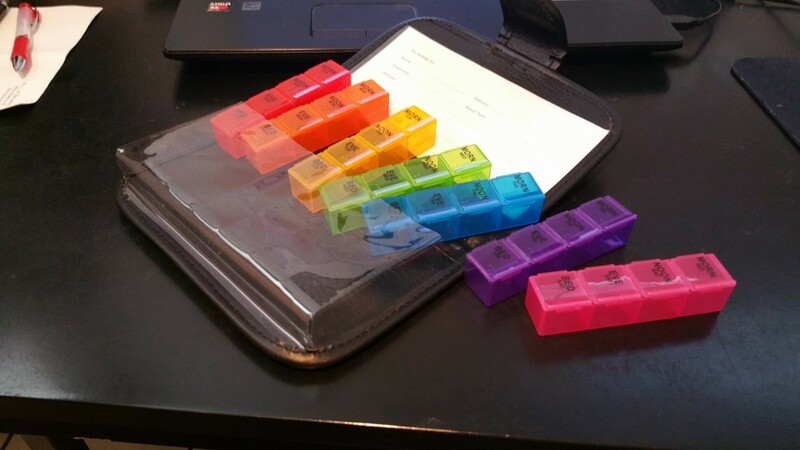 This’ll save you money from buying a bigger pill organizer. As a caregiver myself, I follow these same tips and in fact have set up a website that talks about Senior Living called Stuff Seniors Need. I hope you found this resource helpful in managing medications for seniors and if you have any tips or recommendations please leave a comment below! For those interested in purchasing a pill organizer at a discount, I’ve setup a special promotion exclusively for American Medical ID customers. You can obtain a 25% coupon off any organizer from Stuff Seniors Need by going to http://stuffseniorsneed.com/AMERMEDID. Enter your email and you will be sent the coupon code so you can get the pill case of your choice (limit one per customer at the discounted price). Tony Rovere became a VERY unprepared caregiver after his mother’s heart attack forced him to begin to learn about all of the services available to seniors and caregivers. 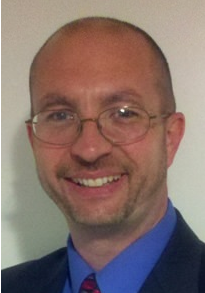 He took these experiences and started StuffSeniorsNeed.com, to assist like himself find the resources they need to lead more rewarding lives. Managing Medication, Medication, Senior, senior caregiver, senior living, Seniors. Bookmark.